Ukraine hopes to resolve this problem with the support of other NATO members. The North Atlantic Alliance is concerned about the behaviour of Hungary, which it demonstrates as part of its dissatisfaction with the language clause of the Ukrainian law on education. "We see that our efforts to engage in dialogue come to nothing because of the unwillingness of the Hungarian side," Deputy Prime Minister for European and Euro-Atlantic integration Ivanna Klympush-Tsintsadze told reporters in Brussels on Wednesday, 8 November. According to the official, Budapest "blocks the effective development of planned things between Ukraine and NATO" using the consensus principle in the Alliance. 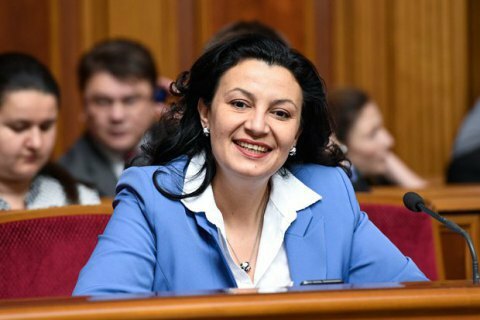 Klympush-Tsintsadze said that Ukraine is hoping to solve this problem with the support of other NATO members. Although the vice-premier believes that the conflict should better be resolved at the level of the bilateral dialogue, "we see that our initiatives are not enough so we expect that our partners will talk to the Hungarians." In late October, Hungary vetoed the meeting of the NATO-Ukraine Commission. Political scientist: Trump's foreign policy incites anti-Americanism in Europe "